Erik Buchinger and Sean Maloney bring you the grittiest takes with a motor higher than this world has ever seen. 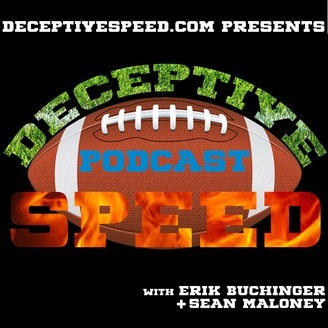 In the new and improved Deceptive Speed Podcast, Erik Buchinger and Sean Maloney return to preview the NFL Draft. Coach Letterman stops by as the show’s first ever guest! The fellas also break down the latest nonsense in the South with Meanwhile in the SEC and use their platforms for the greater good. 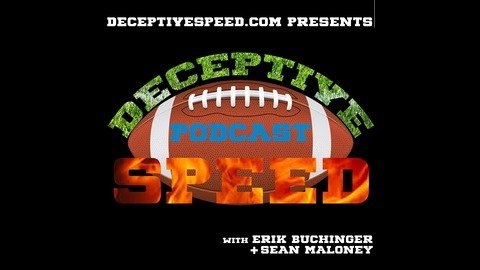 The Deceptive Speed Podcast will now be once a week during the offseason with a guest each episode.